a wind-arrowand maybe some rocks around the edges of the house. 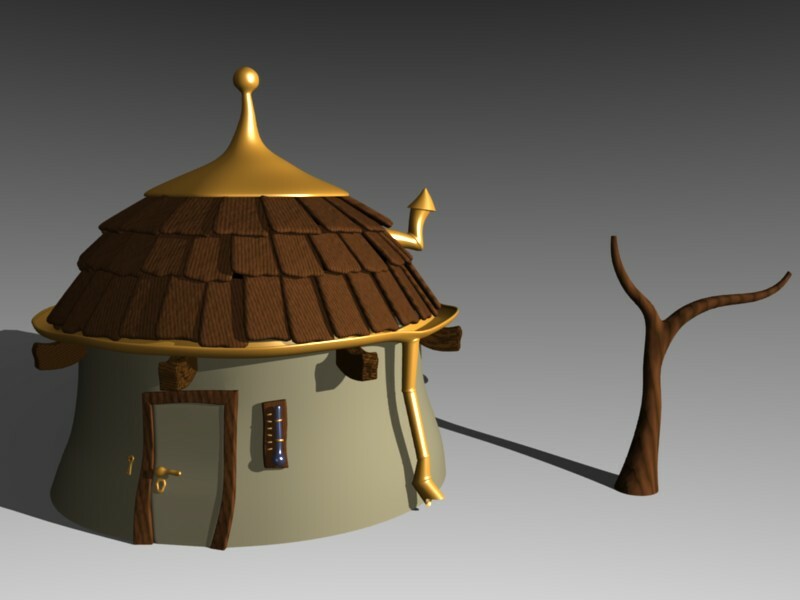 a treeI also have in mind how the character owning the house will look, but currently my modeling skills are too lousy to do a human-like character any justice! I don’t know why there are those wierd marks/shadows on the sticks, poking out from under the roof - anyone who have suggestions? I’ve tried changing the material to a simple color, but they don’t go away! looking good so far, texturing could ofcourse use some improvement, but in this stage I figure, id doesn’t really matter yet, has the potential to become something great. 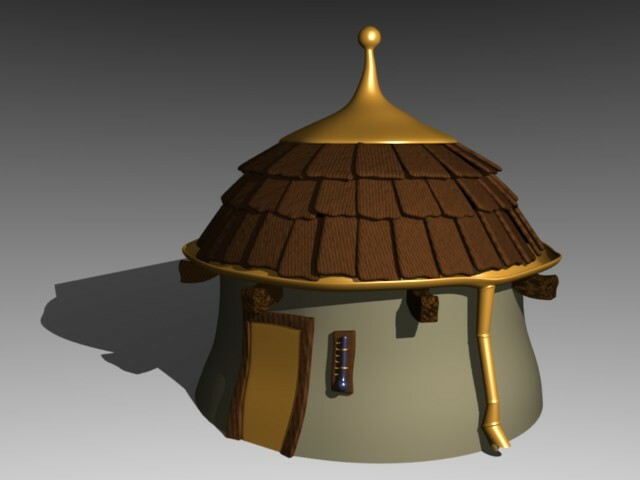 Nice looking little hut you have there! The thermometer is a nice touch too. Those marks on the support beams of the hut look like they still have the same texture as the tiles and door frame attached to them… perhaps you could give us a screen shot of your material setup for those support beams… or am I looking at the wrong thing here? a cloud texture, for Nor - just to remove the clean, hypersmooth face impression.Question: Can you apply the DupliVert-function (used for tiles), so i can model the tiles individually, just to make the tiles more random? Guess i could use “Spin Dup” instead?